The nation’s first collection of American art offers an unparalleled record of the American experience, capturing the aspirations, character and imagination of the American people throughout three centuries. 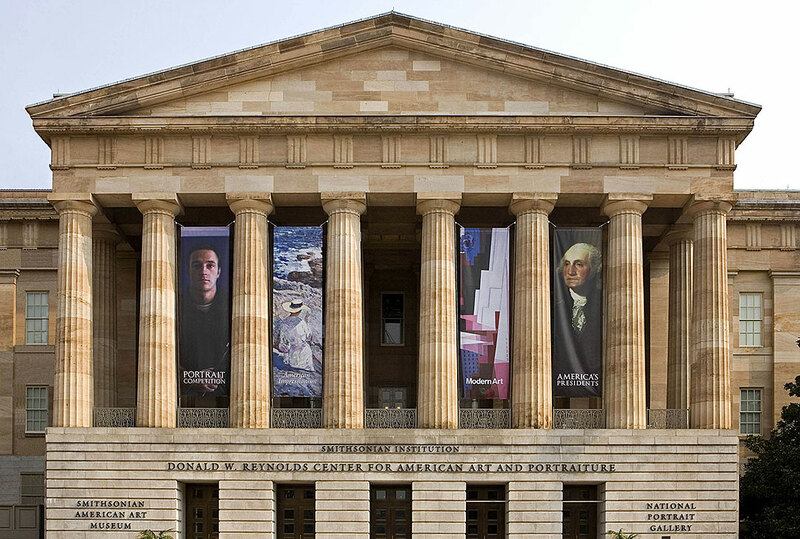 The museum is home to one of the largest and most inclusive collections of American art in the world, including works by such stylistically diverse luminaries as John Singleton Copley, Winslow Homer, and Georgia O’Keeffe, housed in one of the oldest public buildings constructed in early Washington. Early American Art, 19th and 20th–Century Art; Contemporary Art; Photography; Modern Folk and Self-Taught Art; African American Art; Latino Art; New Deal Art; and the Luce Foundation Center for American Art, an interactive public study center. There is no public parking facility for the museum. Limited metered parking and commercial lots are available—see parking map. Reserved parking near the museums can be purchased in advance through ParkWhiz. Untitled, Bronx Storefront, "La Rumba Supermarket"